Test your talents at the Pastimes Games of Skill! Thrill to the Human-Powered Rides! Games: Archery, Knife Throw, Axe Throw, Star Throw, Test O’ Strength, Dart Toss, Leapin’ Lizards, Chinese Crossbows, Load the Pirate’s Cannons & more! 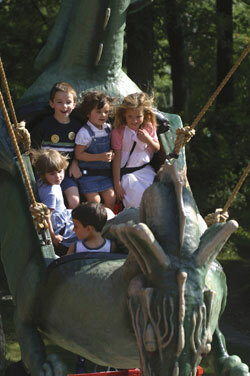 Rides: Dragon Swing, Bedlam Barrel, Crow’s Nest, Carousel, and Dream Boats. There is an additional nominal charge for rides and games.